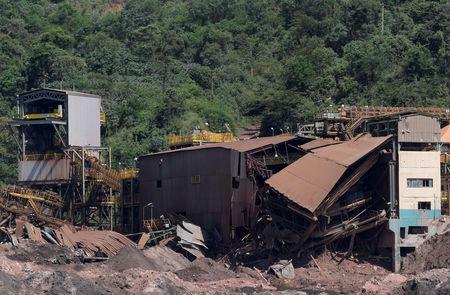 BELO HORIZONTE, Brazil (Reuters) - Vale SA, the world's largest iron ore miner, knew last year that the dam in Brazil that collapsed in January and killed at least 165 people had a heightened risk of rupturing, according to an internal document seen by Reuters on Monday. The report, dated Oct. 3, 2018, classified the dam at Brumadinho in the state of Minas Gerais as being two times more likely to fail than the maximum level of risk tolerated under internal guidelines. The previously unreported document is the first evidence that Vale itself was concerned about the safety of the dam. It raises questions as to why an independent audit around the same time guaranteed the dam's stability and why the miner did not take precautions, such as moving a company canteen that was just downhill from the structure. Vale said that the report, called "Geotechnical Risk Management Results," comprised the views of specialist engineers, who are obliged to work within strict procedures when they identify any risks. 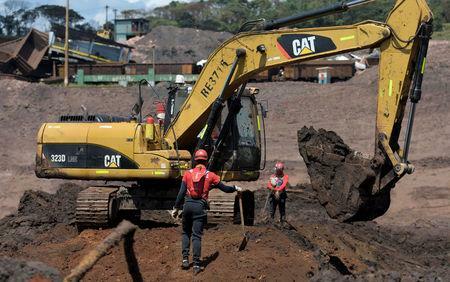 "There is no known report, audit or study with any mention of an imminent risk of collapse at Dam 1 in the Córrego do Feijão mine in Brumadinho," Vale said in an emailed statement. "To the contrary, the dam had all its certificates of safety and stability attested to by local and foreign specialists." U.S.-listed shares of Vale extended losses on Monday following the Reuters story, dropping as much as 2.6 percent to $11.10. The company has lost a quarter of its market capitalisation — or nearly $19 billion — since the Jan. 25 dam collapse, Brazil's most deadly mining accident. The disaster in the mineral-rich state of Minas Gerais was the second major collapse of a mining dam in the region in about three years, following a similar disaster in 2015 at a nearby mine co-owned by Vale. Vale's internal October report placed the Brumadinho dam within an "attention zone," saying that "all prevention and mitigation controls" should be applied. A failure could cost the company $1.5 billion and had the potential to kill more than a hundred people, the report said. The dam was marked for decommissioning. Nine other dams in Brazil, out of 57 that were studied, were also placed in the "attention zone," according to the report. A separate Vale report dated Nov. 15, 2017, also seen by Reuters, states that any structure with an annual chance of failure above 1 in 10,000 should be brought to the attention of the chief executive and the board. The dam's annual chance of collapse was registered as 1 in 5,000, or twice the tolerable "maximum level of individual risk," according to the report. "That's not good in my book, especially if you consider that these are meant to be long-term structures," said David Chambers, a geophysicist at the Center for Science in Public Participation and a specialist in tailings dams. The miner said in its emailed statement that "the creation of an alert for top management, suggested in November 2017, was studied in the context of the integration of geotechnical risk and business risks for Vale." Asked what came of that discussion, Vale said such an alert had not been implemented. Vale said the causes of the rupture were still being investigated. It has repeatedly said the collapsed dam was declared sound by an independent auditor in September. The audit by Germany-based TÜV SÜD, which was seen by Reuters, said the dam adhered to the minimum legal requirements for stability but it raised a number of concerns, particularly about the dam's drainage and monitoring systems. The auditor made 17 recommendations to improve the dam's safety. Vale said the recommendations were routine and that the company attended to them all. 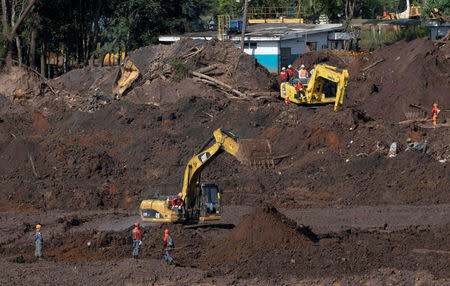 The October internal report identified static liquefaction and internal erosion as the most likely causes of a potential failure at the dam in Brumadinho. It is still not known what was behind the collapse, but a state environmental official told Reuters this month that all evidence pointed to liquefaction. Liquefaction is a process whereby a solid material such as sand loses strength and stiffness and behaves more like a liquid. It was the cause of the 2015 dam collapse nearby, which resulted in Brazil's worst-ever environmental disaster. "We used to say these kinds of mining incidents were acts of God, but now ... we consider them failures in engineering," said Dermot Ross-Brown, a mining industry engineer who teaches at the Colorado School of Mines. Vale has said it will invest some $400 million from 2020 to reduce its reliance on tailings dams, which store muddy detritus from mining.